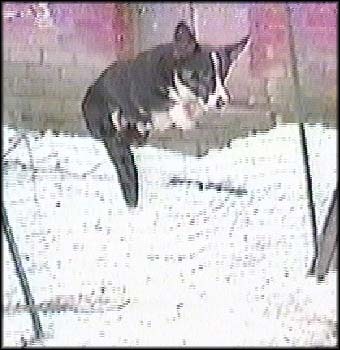 This wonderful boy descended from some of the last of the Welsh, Gwenlais lines, combined with top UK and USA lines. He had a very handsome, well proportioned head with correct earset, clean fitting lips and no 'clunkiness', a level backline, correct oval chest with long ribbing and good angulation in shoulder and stifle, all of which gave him a beautiful expression, balanced outline and tireless gait. 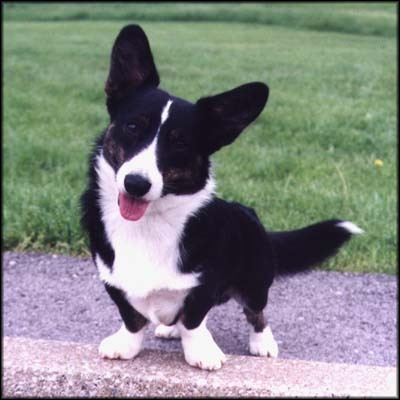 He had an ideal blue-black coat with dark undercoat, rich brindle points, correct texture, straightness, density and length. 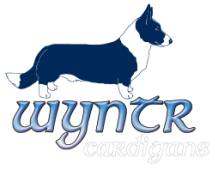 Intelligent, sweet natured, a willing worker and a joy to have as a family member, he was very much the sort of Cardigan we strive to produce here at Wyntr. 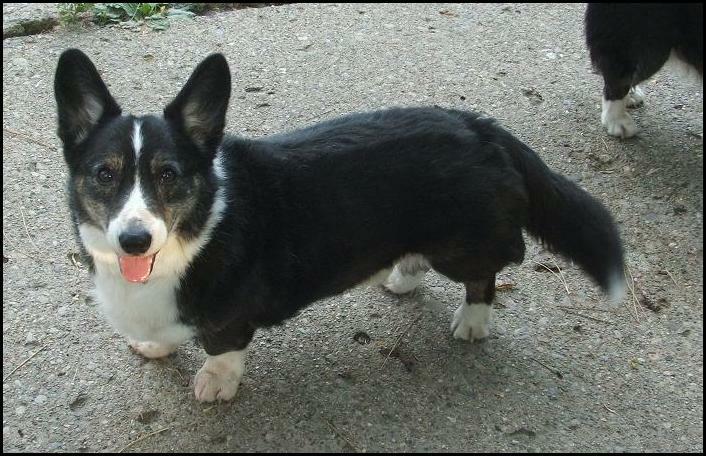 Quick, age 12, July 2012. Quick is major pointed (7pts, with a 4pt major) in very limited showing. 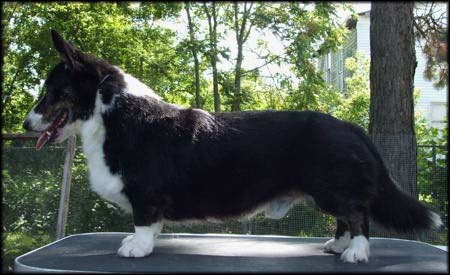 He is the sire of Wyntr's "C" litter with Beautiful, producing many of his fine qualities in his eight kids. 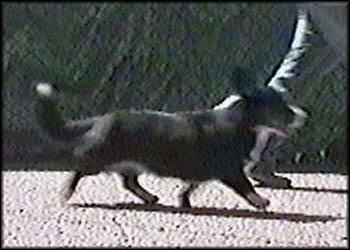 Workmanlike gait, natural tail carriage. Quick, 2nd time on sheep. 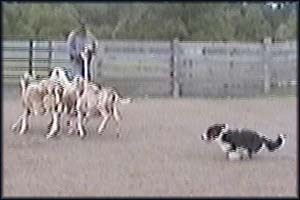 Quick exhibited a lot of talent as a herding dog, but unfortunately was never trained to his full potential or shown in competition due to limited access to training and working venues. 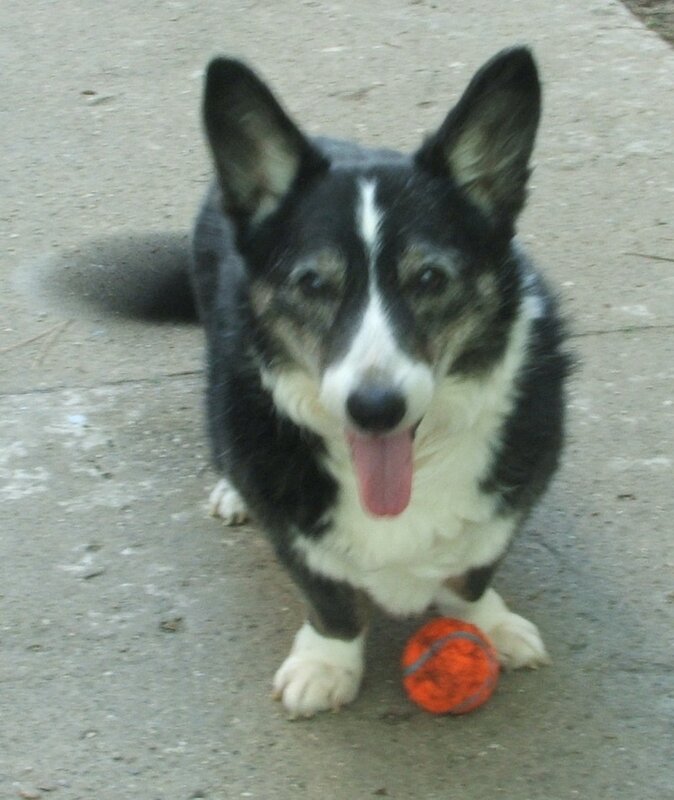 Quick left us in October of 2017 at the very grand age of 17+ years old. He has been a wonderful asset to our Cardigan family, and deeply missed.